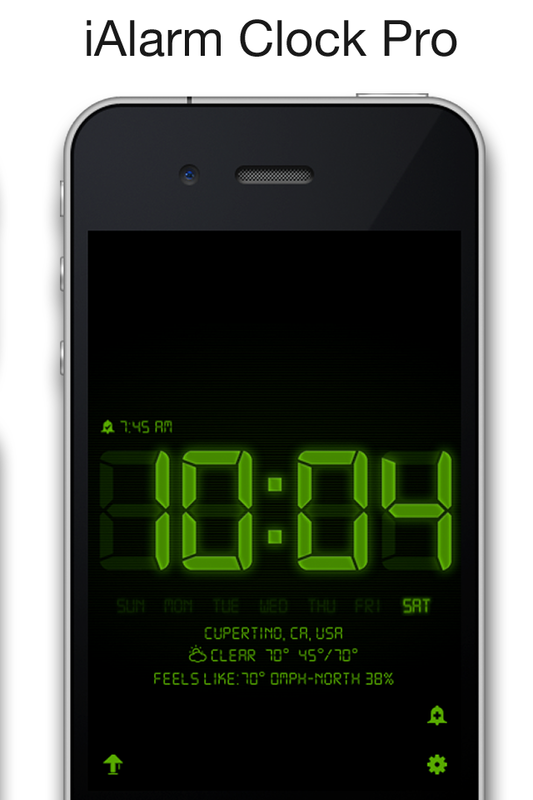 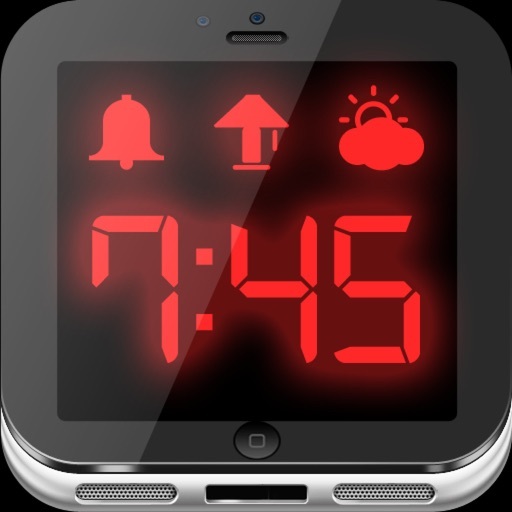 Beautifully designed clock with digital LCD display and analog clock options. 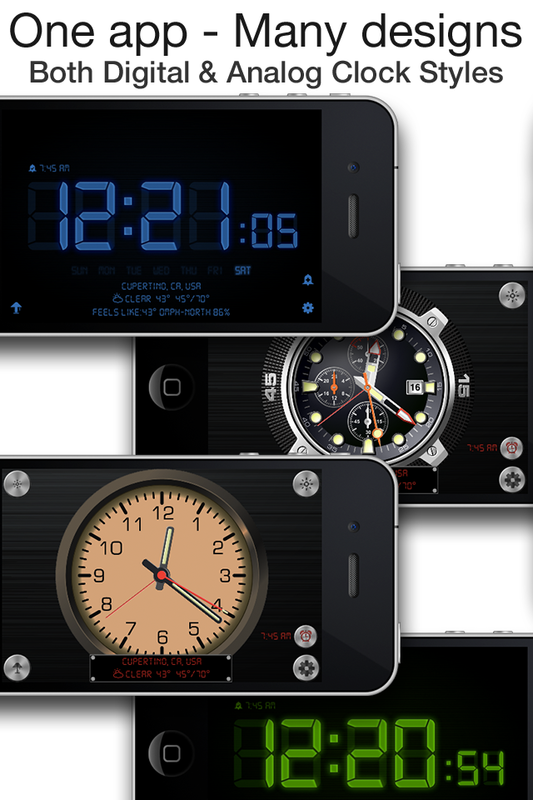 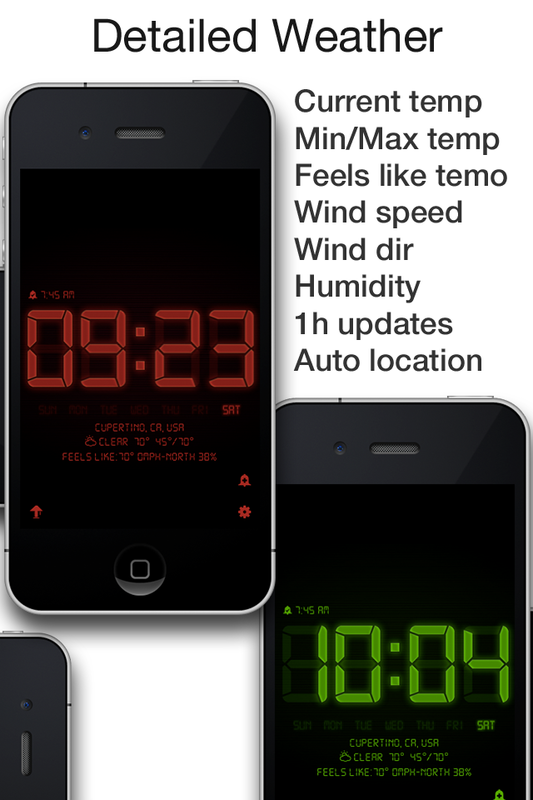 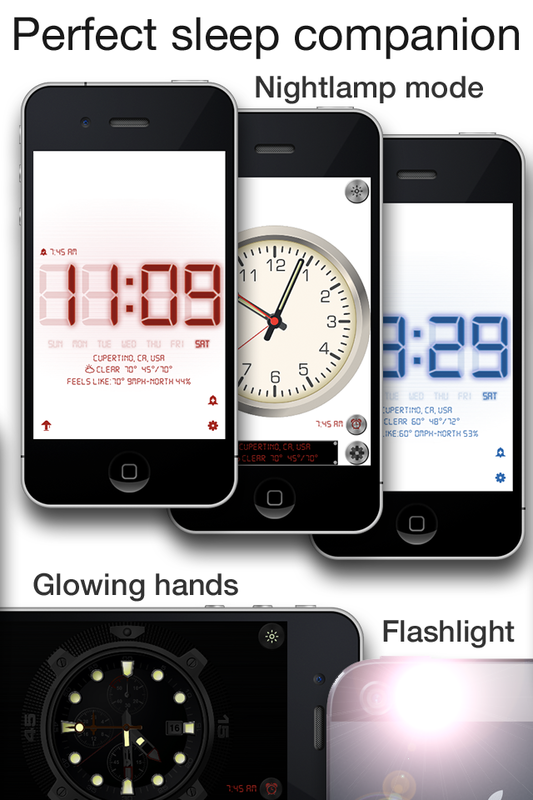 Many unique features such as NightLamp, Flash alarm, Shake for Flashlight, detailed weather display and much more. 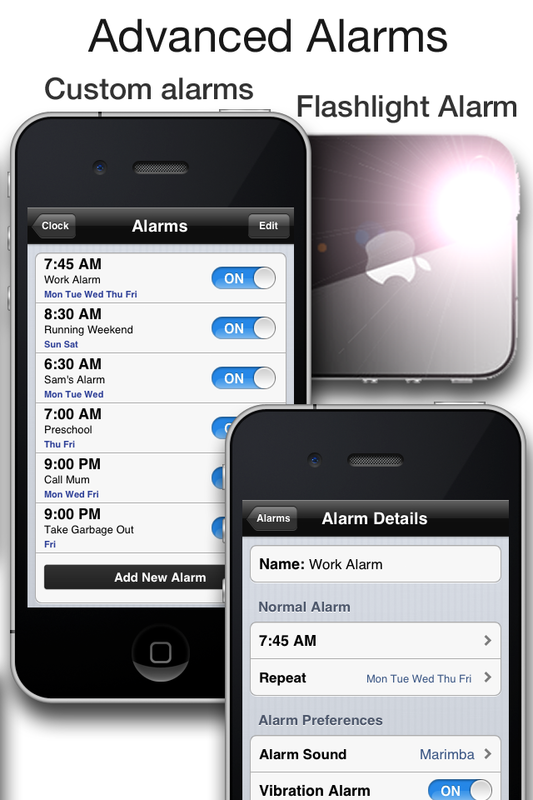 *Due to iOS restrictions the app must run in the foreground to use advanced alarm features.